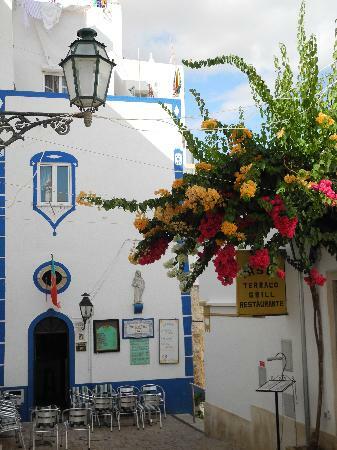 Albufeira was a traditional fishing village until the 1960s, when the advent of mass tourism changed it forever. The vestiges of the old town that remain are now fronted by a long necklace of packed crowded beaches and a marina full of gleaming yachts. Seafood restaurants dot the waterfront promenade, and there are plenty of opportunities for late-night bar hopping. Add championship golf courses and amusement parks to the list, and you could easily spend a week or more here. But if you've only got a day, you can still cram a lot in. 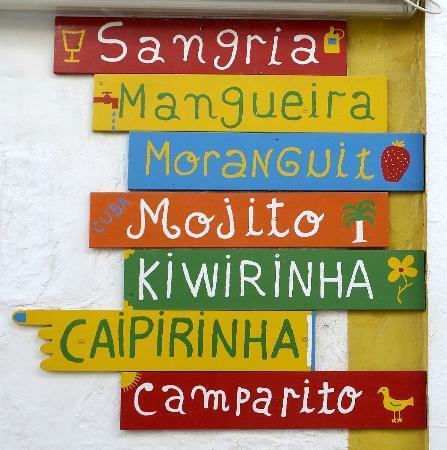 Here's how to fill your 24 hours in Albufeira! The local transport network in Albufeira, run by Giro, is a series of four different routes — all easily identified by color. It is customary to leave a 10% tip at restaurants. 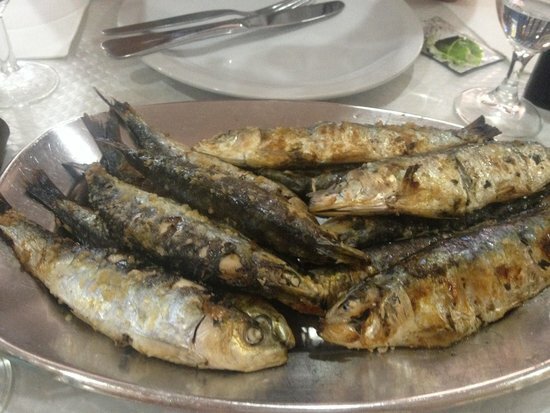 Most people on the Algarve eat very late in the evening, so the quality restaurants generally do not open until after 7pm. Most boat tours operate out of the Albufeira marina between May and October. Portugal is a very Catholic country, and visitors should always cover up before going into churches. Wandering around Albufeira's town center in beachwear (or shirtless) is frowned upon. Keep bikinis and swimming trunks for the beach. Zoomarine is the Algarve’s answer to SeaWorld, and families with kids of any age will find nowhere better to spend the day. There are wave pools and waterslides at Zoomarine Beach, gentle carousel rides for toddlers, and big wheels for adrenaline junkies. 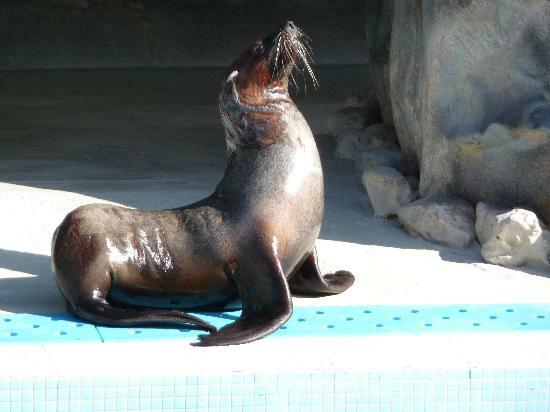 The park also offers daily falconry displays, comical seal shows, and aquariums full of awesome sharks and velvety manta rays. 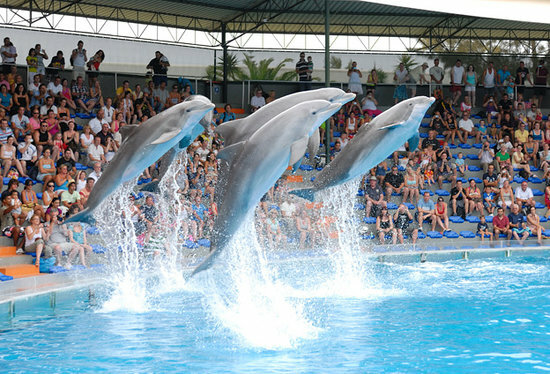 However, the biggest draws of all are the spectacular dolphins shows and their trainers. Children under 1m (3.3ft) tall are not allowed on most rides. 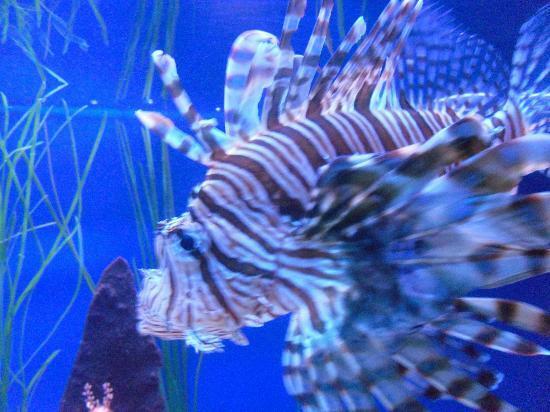 Zoomarine Algarve is in Guia, just a few minutes west of Albufeira. It’s best accessed by car on the N125. Take swimsuits for Zoomarine Beach, and be prepared to get wet on most of the rides (and soaked if you sit up front at a dolphin show). It’s possible to swim with the dolphins (aged 6 and up); book ahead of time for this experience. 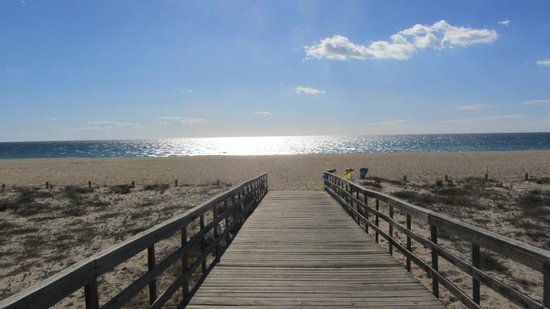 Another of Albufeira’s enjoyable and reasonably priced family attractions is located 20 minutes inland in Alcantarilha. 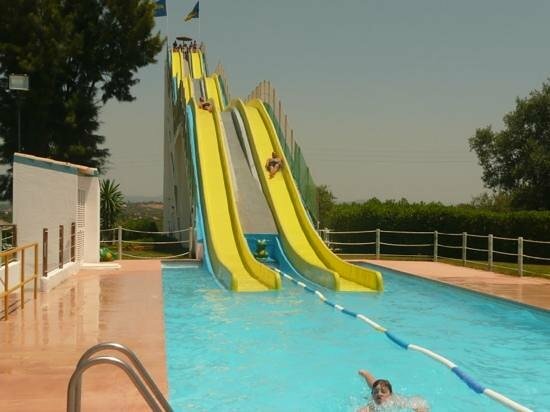 At Aqualand, there is plenty to occupy families all day, with water rides to suit everybody from timid toddlers to daredevil teenagers. 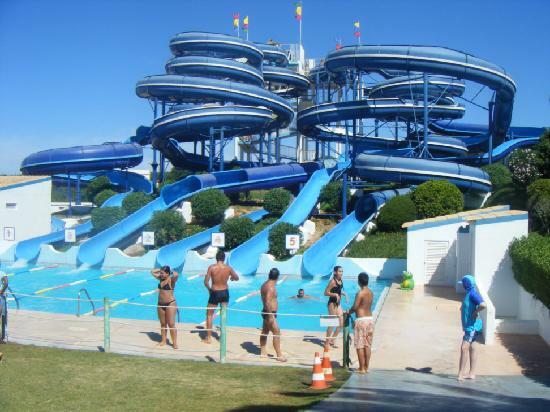 Aqualand Algarve also has an artificial surfing beach, family swimming pools, lazy river rides, and several beach-style cafés. Take flip flops, as the ground can get very hot. Buses for Aqualand Algarve leave Albufeira town center regularly in the summer months. 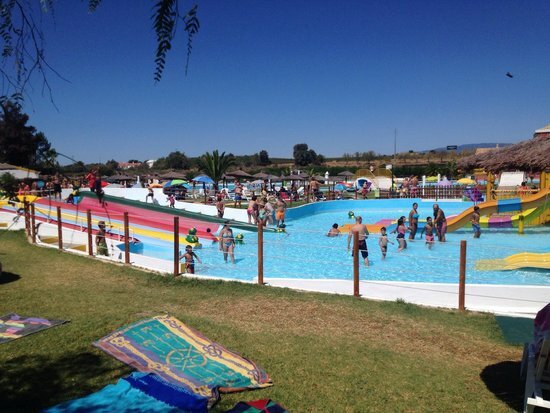 Aqualand is open between June and early September, 10am–6pm daily (5pm in June). Lines get long, so pre-book fast passes online before you visit. 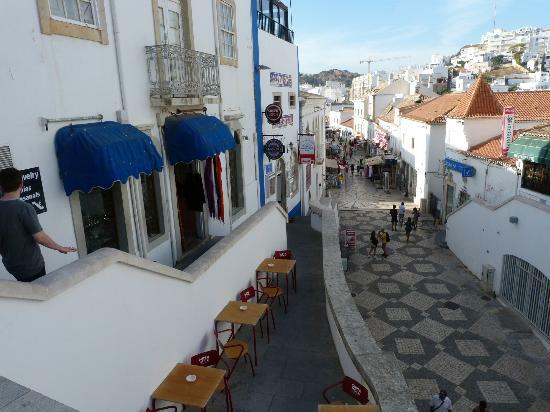 Despite the annual onslaught of beach-seeking tourists, Albufeira has retained some remnants of its ancient heart. Today, the steep and cobbled streets of the pretty Old Town, which was built by the Moors, are lined with whitewashed bars, stylish boutiques, and cute cafés. However, you'll also find a few other fragments of fortified walls, the clock tower of an ancient castle, and a handful of historic buildings. 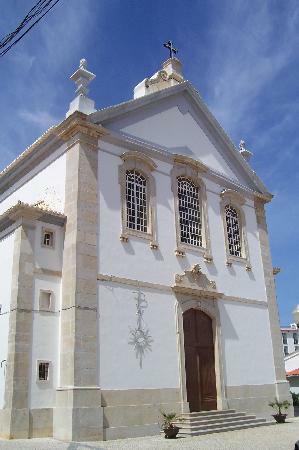 The 14th-century Capela da Misericórdia (Chapel of Mercy) remained standing after the 1755 earthquake, while the Igreja Matriz (the 'Mother Church') - which was built after the earthquake devastated Albufeira's old parish church - is a stunning neoclassical structure well worth exploring. The Tower of Medronheira, built in the 1500s, also survived the 1755 earthquake. It’s open daily — climb up the steps for great views along the Algarve coastline. Visit the Old Town in the morning, before the crowds hit the streets — or come in the evening to seek out local restaurants. 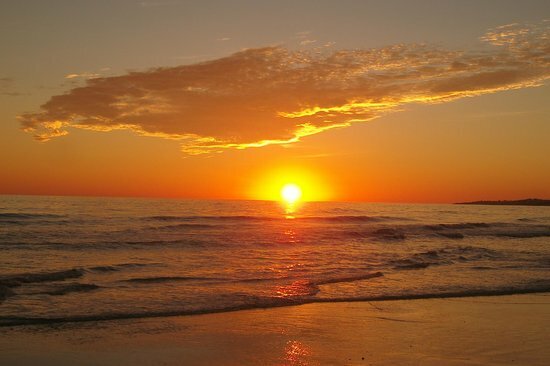 Located 10 km east of Albufeira, Praia de Falésia is one of the Algarve’s most outstanding beaches. Less packed than the town beach at Praia do Peneco, it is 8 km (five miles) long and sheltered by fiery red cliffs. The soft sandy strip has facilities for watersports, several beach bars, and azure waters, with lifeguards on duty throughout the summer. There is plenty of parking above the beach, and Giro buses stop nearby. Holidaymakers keen to get out on the water should organize excursions from the marina in Albufeira; popular choices include snorkeling, dolphin spotting, and windsurfing. Museu Municipal de Arqueologia is a must-see for anyone with an interest in understanding Albufeira’s long and often turbulent history. 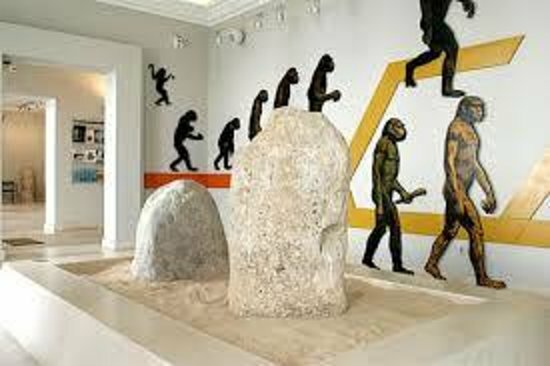 Opened in 2009, the museum displays archaeological finds from digs around the Algarve region, with artifacts dating from prehistoric times to the 17th century. 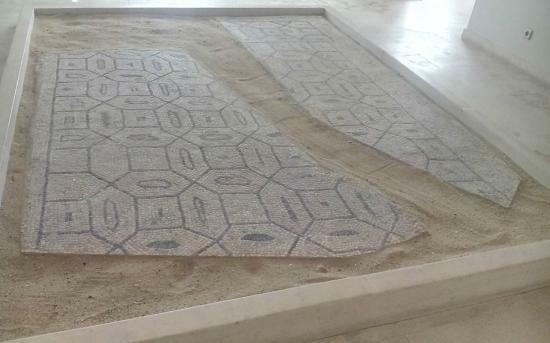 Highlights include a 5,000-year-old Neolithic vase, Roman coins, fragments of Moorish columns, canons, and floor mosaics. Explanatory English-language pamphlets are available throughout the museum. Opening hours are Tue-Sun 9.30am–12.30pm and 1.30–5.30pm. There is a small admission charge, but seniors and students enter for free. 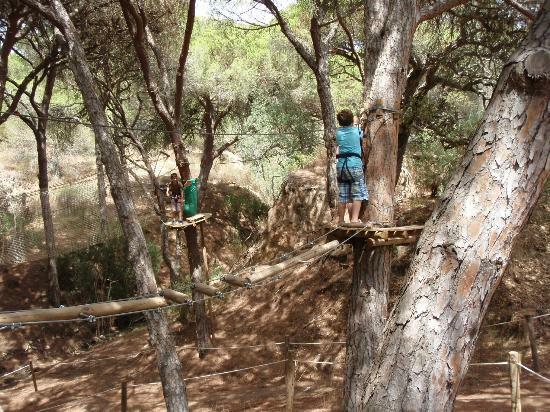 Opened in 2010, Parque Aventura is a fun, family-friendly attraction down by Santa Eulalia Beach. 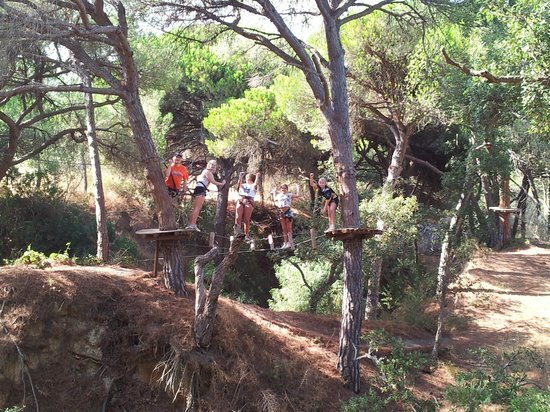 Here, you can get the adrenaline racing with paintballing sessions or high-rope assault courses through the treetops. There are varying degrees of challenge to suit all ages and all levels of fitness. 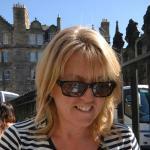 Take sun cream, water, and hats, and wear sturdy shoes. 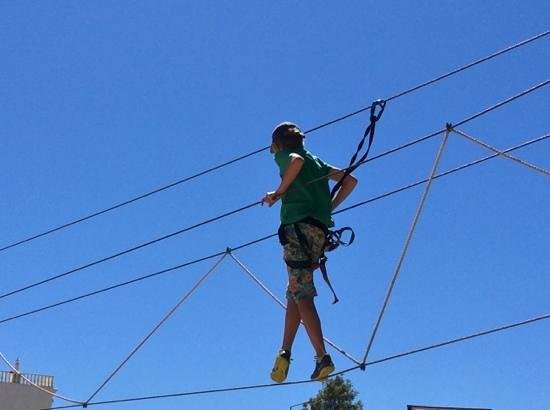 Prices vary according to activity, and all packages include three hours of activity. This is a good spot to visit in the afternoon, when the sun isn't as strong. A chilled-out restaurant with a novel of a name, the Clube Pesca is located in a smart blue-and-white clubhouse down by the marina. 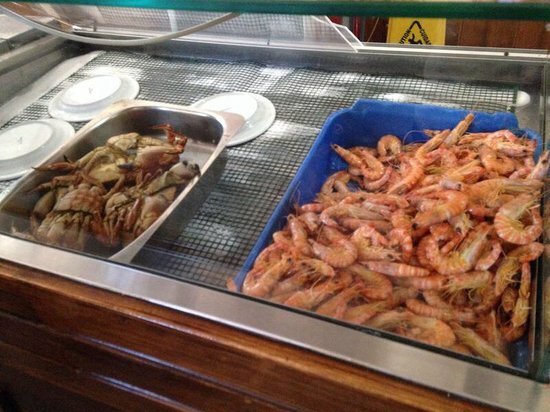 It is the HQ for local fishermen, and by far the best place in Albufeira to sample the sea's abundance. 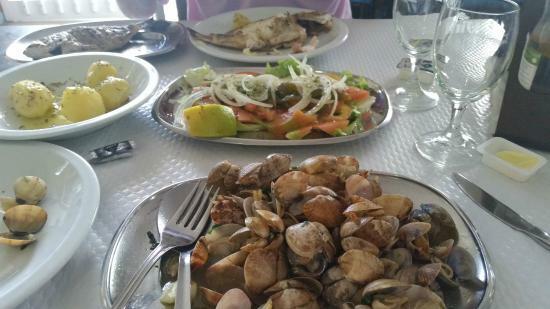 Fresh sardines, clams, whiting, octopus, and more are all skillfully but simply cooked, and accompanied by vast tomato salads and fries. Fresh fish can be very expensive when bought by weight, so always ask for prices before ordering whole fish. The restaurant is closed on Tuesday. The rest of the week, it's open 12-3pm and 7-10.30pm. Keep prices down by ordering from the set menu. 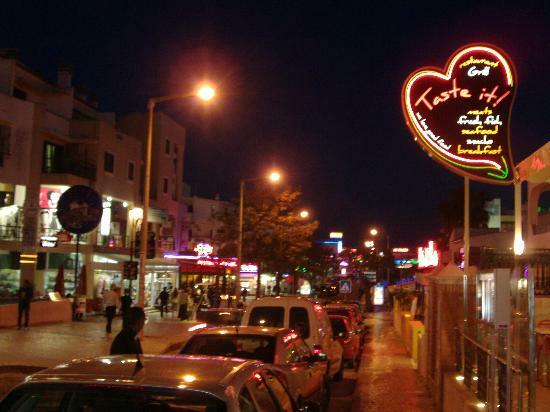 Brash and loud, Albufeira’s notorious strip is lined with tourist restaurants (from fast food to top-end cuisine), bike-hire shops, ice cream parlors, bars, and nightclubs. It's relatively calm by day, and then explodes into life after dark, with neon signs and live-music bars. Lying east of the Old Town and connecting the district of Montechoro southwards to Areias de So Joao, the Strip is steadily advancing seawards toward Praia da Oura. If you’re looking for a traditional Portuguese nighttime experience, avoid the Strip and head to the alleyways of the Old Town to find restaurants tucked into pretty squares. Although the Strip all but closes in winter, it’s usually open until 4am in summer. Most bars have daily Happy Hours.